'Opening Fire' on Yellow Vest Protesters Now Allowed by French SoldierssteemCreated with Sketch. The Yellow Vests protests have been going on for about 4 months. With 5,000 police on the streets of Paris, the authorities wanted more force present, which is why the military has been drafted to help subdue the protesters. At 19 weeks of protests, many are opportunists who seek to use the protests as a way to enact violence. 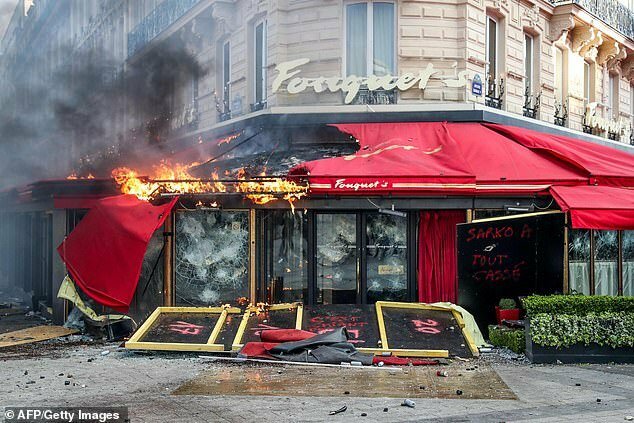 Last week's riots had many Paris shops looted. The French government is seeking to lay down some order, and the military is how they see it happening. Many want to burn tear down the current establishment and status quo. Some want to actually burn down what they consider those who "have more" than they do. Rioters have taken to looting and burning down banks and high-end shops and restaurants which represent the upper class they view as representing their enemy. 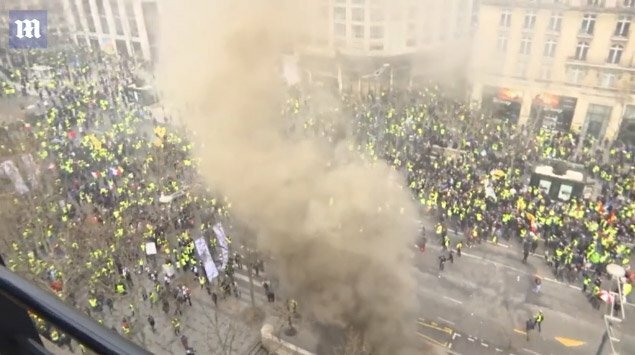 Police have already been using tear gas, water canons and batons to beat back and restrain the Yellow Vest protesters. Over 250 arrests were made and injuries sustained. This destruction is being called "anarchy". Is that really anarchy? Most people think so, since anarchy is equated to "chaos". The word anarchy doesn't mean chaos. An-archy means without-rulers, no-rulers, no-masters. And in that situation, where we don't have masters ruling over our lives, people think that lack of control is disorder and chaos. People believe so much in the established order of our way of life with government controlling so much around us, that they can't think any other way could work. They think that without government you get what the news shows, chaos, destruction, violence, etc. But this is not the ideal of true anarchy. The depictions on the news are not what is required, but it is what some people are doing, for whatever reason. Some may just be lashing out at a system that doesn't work for them and millions of others, while some may just be taking advantage of the protest to cause mayhem and destruction because they enjoy that. And some are most likely agent provocateurs inserted by the authorities to escalate violence and create a negative image for the Yellow Vests. The protests have been banned in several parts of Paris now. This includes in the Champs-Elysees where the looting took place, as well as streets surrounding the Arc de Triomphe, the presidential Elysee Palace and the National Assembly. Fines are set to increase for anyone taking part in protests in the banned areas. "They are subject to the same legal framework as the internal security forces." "They are perfectly capable of appreciating the nature of the threat and answering it in a proportionate manner." But how many times have we seen soldiers being deployed on home soil, only to see them ill equipped to deal with protesters and mistreat them further, causing more escalation and outrage. Will the French soldiers be able to restrain themselves when the unarmed citizens aren't? Or will they threat riots and looting as a "threat to life" and open fire? "I'm worried about how they will respond in case of attack." With flash ball rubber bullets, chemical weapons and now military allowed to "open fire", the response from the government is progressively getting more aggressive. Where is the limit on tactics used to stop the protests? Losing eyes and hands from exploding devices launches at protesters doesn't seem to cause the government to question their tactics yet. Damn. What a big mess. Will our politicians ever start working for the people, as they're supposed to? Maybe in some cases they do, but when is that often the case? Power corrupts. I think democracy is inherently flawed. It may work very well on small communities, but once we get to the millions, the herd's mentality kicks in and most people stop voting for what they prefer, to start voting for what they believe is the lesser evil. We have over 30 political parties in Portugal. People spend 4 years whining about them and then 80% of the people vote for the same 2 parties, time after time. We won't ever get anywhere with this system. It's basically a 2-party dictatorship. And worst of all, a self-imposed one. Probably not. I mean, there is no benefit for themselves if they work for the people. some are most likely agent provocateurs inserted by the authorities to escalate violence and create a negative image for the Yellow Vests for sure. They are a first line of defense against protests, not a last resort for governments around the world. Yup, most likely. It's a first-tier tactic to degrade the meaning of a movement. Bringing the troops in = losing control. 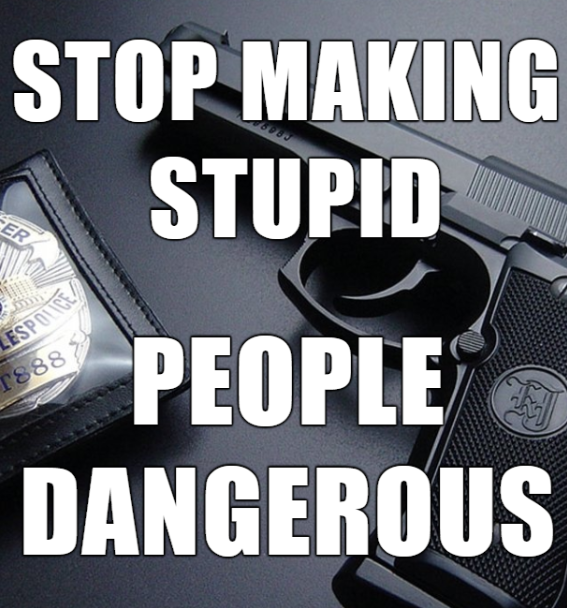 Haven't 20 or so people been mutilated and/or permanently disfigured by violent police response already? Seems like this hard-line approach has been backfiring and resulting in more destruction. Will shooting protestors help matters or turn these protests even more violent? Yeah, not sure on the number, but I know one guy had his hand blown off when he tried to throw back a grenade... :/ The hard-line can indeed push more people to the violence responses. I'm curious to see if the Yellow Vest protests spread to other countries in Europe? I've seen some reporting that Italy is worried. Will we see something like the Arab Spring in Europe, or maybe even the United States? No Arab Spring in Europe, since that was a large Western covert op to send that part of the world down in flames. The Yellow Vests, as of now, have provided no evidence of such centralized control, au contraire, when the gov't deploys the military, it means that something is right. I recall at the beginning there were some areas that popped up yellow vests, like Switzerland I think. Your UA account score is currently 7.383 which ranks you at #60 across all Steem accounts. In our last Algorithmic Curation Round, consisting of 325 contributions, your post is ranked at #25.